The biggest club in the world is celebrating its grand 7th anniversary on 7/8/9 June 2019. The BigCityBeats WORLD CLUB DOME will spread the glamour of a club, paired with the open air feeling of a festival in the heart of Europe – the cosmopolitan city of Frankfurt. With a gigantic dancefloor area with over 700.000m² and more than 160.000 beating hearts merge into the BigCityBeats family. 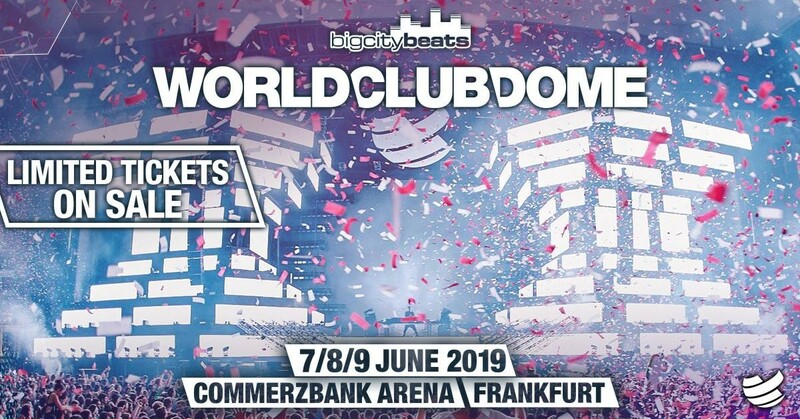 BigCityBeats WORLD CLUB DOME 2019 - 7/8/9 Juni 2019 - Commerzbank-Arena, Frankfurt.